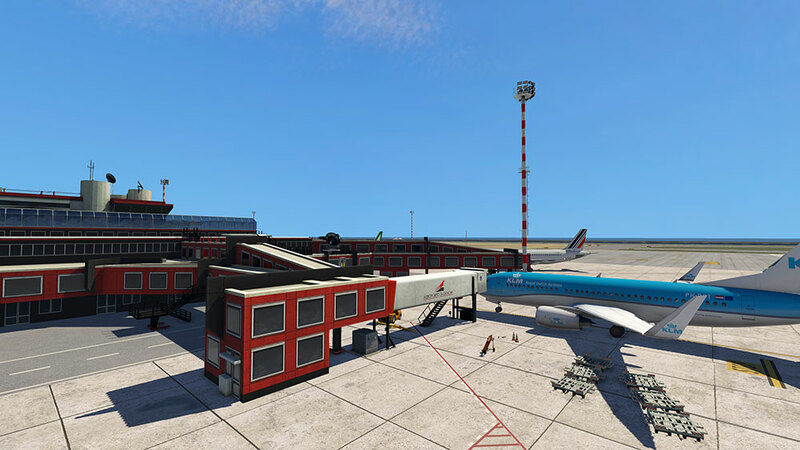 The developers of the uber-popular SAM plugin have announced updates to 6 airports in the Aerosoft XP range, including Frankfurt (EDDF), Aspen (KASE) and the recently released Genoa (LIMJ). Also in line for SAM updates are Dortmund (EDLW), Bergen (ENSB) and Tromsø (ENTC). Also speculated is an update to Oslo (ENGM) to add SAM compatibility. 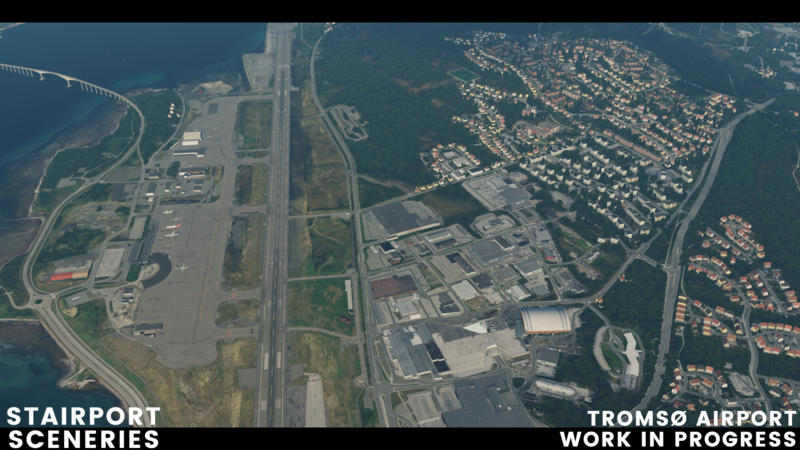 Stairport affirm that Oslo is not their first priority as they didn't develop it, however they say they will "propose it to Aerosoft". Aerosoft Genoa XP, by GayaSimulation, is in for an update soon. Although by far the biggest news of the roadmap lies with two new scenery announcements and a progress update on their current work-in-progress rendition of Berlin Brandenburg airport. As has previously been established, Berlin Brandenburg (EDDB), a cooperation between LimeSim, 29Palms and Aerosoft, is in beta phases. Because of this, coupled with this latest post, it indicates that the release is now imminent. Also mentioned in the roadmap are two entirely new sceneries, the airports of which they recreate have not been announced yet. The first scenery is due within 8 weeks and is located in the United Kingdom. Stairport have confirmed that this mystery project will have full SAM compatibility. Lastly, another mystery project. This airport is in cooperation with a "big" developer and will be released at the beginning of Q2. This points to the project being a conversion of an existing ESP-platform scenery, as Stairport have aided in converting many of Aerosoft's FSX/P3D sceneries to Laminar's sim, such as Helgoland and Tromsø. You can check out the full roadmap announcement on the Stairport Sceneries Facebook page.